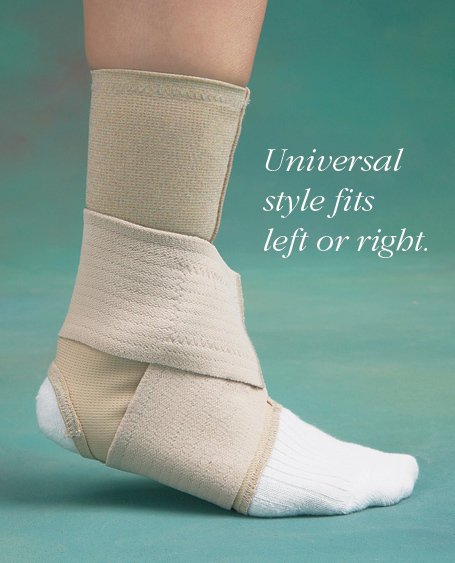 Features compression sock with built-in figure-8 ankle wrap. Open-heel support wraps in a figure-8 style for medial and lateral compression. Spandex® double strap has 3" (7.6cm) wide segmented elastic tension with hook and loop closure. 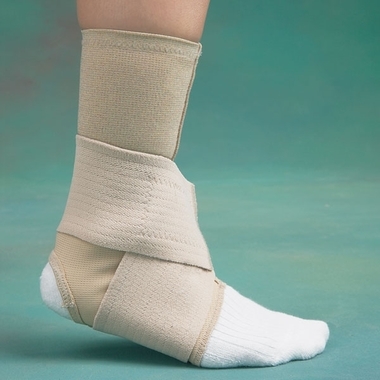 To size, measure ankle circumference.